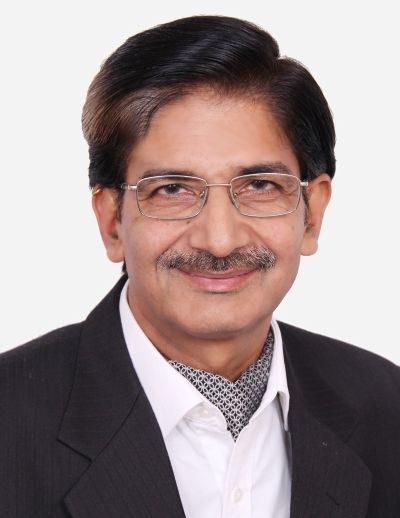 Dr. Sunandan Sood (M.S. MAMS FIMSA Fellow Vitreo-Retina) has been working as Retina specialist for the last more than 25 years after having training from Doheny Eye Institute University of Southern California L.A. and from Henry Ford Eye Hospital Detroit Michigan USA. He has the expertise of dealing with all sorts of diseases of retina like Retinal detachment, ARMD, Retinal Vascular occlusion and Diabetic Retinopathy with the helpof advanced state of the art equipments including laser, OCT and Fundus autoflourescence. Retinal surgery is his passion and strength. Earlier he has been the HOD of Eye department and dean of Govt. Medical College and Hospital sector 32B Chandigarh. Services are available at SCO 275 First Floor sector 32 D from 9am to 1pm in the morning and 4pm to 7pm in the evening on all days of the week. In addition to providing tertiary care services he has also been active in serving the underpriveledged people of society acknowledging which he has been awarded with National award by the National Society for Prevention of Blindness. Established the Department of Opthalmology in the new Medical College right from its infancy to a present state where in addition to regular clinical work, tertiary care, services are being provided in the various well developed subspeciality clinics of Glaucoma, Vitero-retina, ROP, Uvea, Squint, Cornea and Oculoplastics. Developed the infrastructure first for the MCI recognition of MBBS degree with a intake of 100 students and followed by further inputs for the MCI recognition of post graduate studies in 2001. Five post-graduates are now admitted every year. During my stay in the department it acquired all the advanced & latest equipments to look after both the anterior & posterior segment eye diseases. There is no hesitation in claiming that it is now a state of the art, department of Ophthalmology equipped with two lasers, OCT, FFA, USG, Automated perimeter, Specular Microscope, Auto Refractor & Auto Keratometer, six Haag Strait Slit Lamps, three Phaco Machines, two full loaded Microscopes which all have been acquired under the Chairmanship of Dr S Sood. In addition to development of the department the care has been taken to establish Eye Bank, Low Vision Aid clinic and to build a team of dedicated doctors, Optometrists, Social Worker for providing eye care services at the door step of rural and slum area of Chandigarh through screening eye camps in collaboration with NGOs, which are being organized on regular basis. Recognized PG Teacher since 1988, guided 28 thesis of the PG’s of Eye department PGIMS, Rohtak and later (2001 onwards) Eye department, GMCH, Chandigarh. Publications: 43 published in the International, 31 in the National, 52 in the region Journal of Ophthalmology (Annexure-VII). Workshops, Symposia & Conferences- more than 95 attended (Annexure-VIII). Papers presented- more than 100 paper presented in International, National & Regional Conferences (Annexure-IX). Treasurer of North Zone Ophthalmological Society 1994 to 2000. General Secretary-North Zone Ophthalmological Society 2000 to 2003. Member, Managing Committee. All India Ophthalmological Society 2006. Executive Member, Vitero Retinal Society of India 2001 to 2002. President North Zone Ophthalmological Society 2012-2013. Vitreo Retinal Society of India. CSB Publisher, New Delhi, 1st edition 2014 (Annexure-X). 2. MCQ in Ophthalmology (1994). Jay Pee Brothers. Darya Ganj, New Delhi. 3. Satyam Question Book Part II (1998). from19th August 1996 to 27th September 1996 (Annexure-XI). Co-investigator in ICMR Research project titled “Clinical and immunological evaluation of levamisole in patients with HSK” in the Eye department of PGIMS, Rohtak, October 1987 to September 1989. Conferred “National award” for the outstanding services to the people of India in the field of Community Ophthalmology for the year 2006-2007 by the National Society for the prevention of Blindness-India (Annexure-XII). Awarded fellowship of International Medical Science Academy (FIMSA) in 2009 (Annexure-XIII). Awarded membership of National Academy of Medical Sciences- India, 2011 (Annexure-XIV). Conferred “Award of Honour” by Desh Bhagat University Chandigarh for outstanding achievement in the field of healthcare on Doctor’s Day Celebration held on 1st July, 2013(Annexure-XV). Appointed member of Research Board of Advisor of American Biographical Institute (ABI) (Annexure-XVI). Conferred “Excellence Award” by Regional Institute of Ophthalmology, Pt. B.D. Sharma, PGIMS, Rohtak on 26-27 Nov. 2011 (Annexure-XVII). Guest Speaker in WHO Workshop on Orientation Training of Trainers in Disability Prevention and Rehabilitation 12-14, October, 2001 at GMC, Patiala. Appointed expert in PPSC Patiala on 21.12.2001. Appointed Inspector for the inspection of Lions’ Nab Eye Hospital, Sangali, Maharashtra(2004) Eye Department of Medical Trust Hospital Kochi (Kerala 2004) & Eye Foundation Coimbatore (June 2010) by National Board of Examinations for starting DNB Course in Ophthalmology. President Chandigarh Ophthalmological Society 2004. Delivered a Guest Lecture in the Conference XXII National Orientation module for Ophthalmologist on 20th September, 2004 at Vocational Rehabilitation Training Centre, Ludhiana. Appointed Inspector for BFUHS Faridkot to inspect Eye Department of Guru Ramdas Medical College, Amritsar on 21st January, 2005. Invited guest speaker periodically in the orientation training of PHC Medical Officers organized by the State of Haryana at Panchkula. Evaluated thesis of MS Ophthalmology students from RPCOS, AIIMS; D.U, Delhi; M.D.U., Rohtak; BFUHS Faridkot, H.P.U. Shimla and Chaudhary Charan Singh University Merrut, Utranchal University, Dehradun and Jammu University, Jammu. Appointed Inspector by MCI for inspection of Eye Deptt. Vardhman Medical College, Ansari Nagar, New Delhi in April 2010.